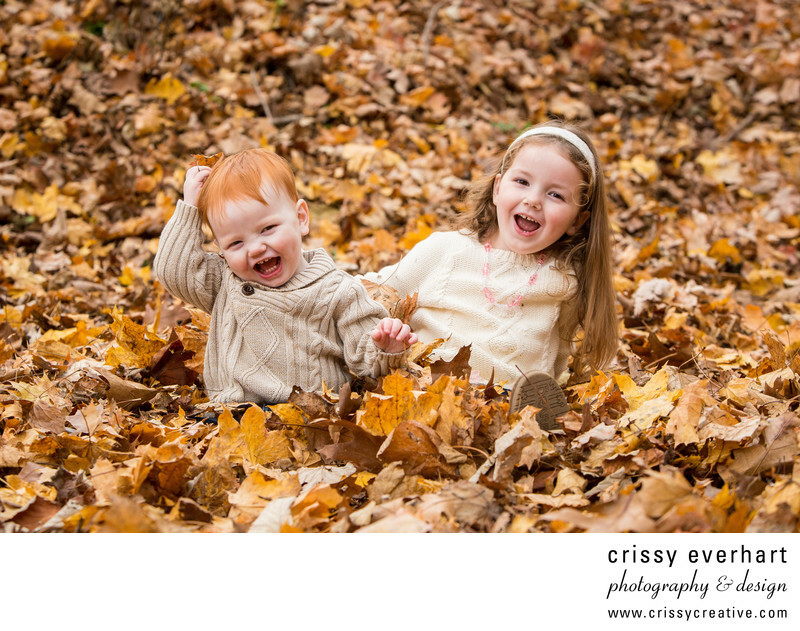 These adorable siblings laugh and giggle in the leaves during their fall mini-session at Ridley Creek State Park in Media, Pennsylvania. Their warm neutral clothing and red and brown hair match the color palette of the dried leaves perfectly. Two years later and this image is still one of the mom's favorite photos and one of mine as well!